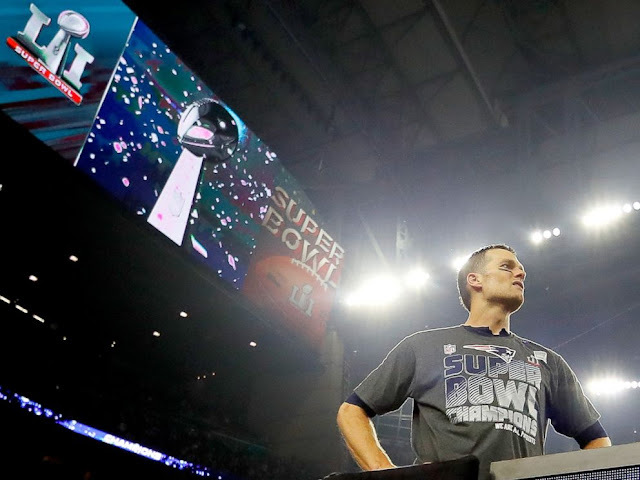 Tom Brady is unequivocally the greatest quarterback of all time having won a record five Super Bowls. He might even be the greatest NFL player ever. Brady's presence on Facebook has been well-documented ever since he started running his own account, but he's also become a polarizing figure on Instagram after recently joining the photo-sharing app. A bunch of parody Instagram accounts posted memes from Super Bowl LI, and Brady actually responded to one of them. He even mocked his own attempt at trying to tackle Falcons cornerback Robert Alford on his pick-six in the first half. I'd still find this funny even if the Patriots had lost. I'm also really excited to see what he posts from the parade today.